A federal program aimed at helping people choose and enroll in Affordable Care Act insurance faces a fresh round of funding cuts so steep that the two Utah organizations that participate say it may no longer be worth doing so. “We’re down to the bare minimum amount,” said Matt Slonaker, executive director of the Utah Health Policy Project, or UHPP. “It’s not going to be enough to even make us interested“ in applying for ACA navigator grants. Last year, the Trump administration slashed funding for the navigators program from $62.5 million to $36.8 million. Additional trims will now draw the funding down to just $10 million nationwide, according to national reports, along with new guidance that participating organizations steer people toward health plans with less coverage and benefits than are typically required by the ACA, or Obamacare. Federal law requires that funding be awarded to navigators, nonprofit organizations that function as insurance counselors under the federal health care law. But the administration has wide latitude to define those funding levels, Slonaker said, and has steadily diminished its support for the program since President Donald Trump moved into the White House. Slonaker said UHPP originally received $750,000 for its Take Care Utah program, but the funding fell to $290,000 after last summer’s cuts. 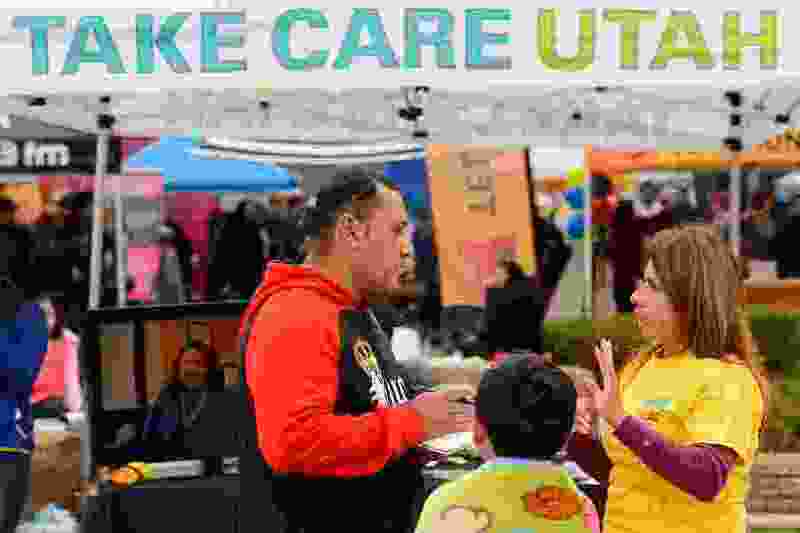 He estimated that roughly $40,000 would be available for Take Care Utah moving forward, which is not enough to pay for a single full-time employee. Utah’s other navigator organization is the Urban Indian Center of Salt Lake, which acts as an insurance counselor for Utah’s American Indian and Alaskan native communities through its Cedar Point Wellness Center. Ryan Ward, Cedar Point’s director, said last year’s cuts and delays in this year’s grant-application announcement suggested that another round of reductions was coming. Ward said the Urban Indian Center’s grant was smaller than UHPP’s. He declined to provide specific numbers. In addition to the navigator cuts, the Trump administration has also pared the funding for advertising Obamacare’s open-enrollment period, when people can sign up for insurance through individual markets established under the health care law. Federal tax cuts passed earlier this year repealed the so-called individual mandate, or requirement that Americans either enroll in health insurance or pay a penalty. Under Trump, the Department of Justice has declined to defend key aspects of the ACA in court. Slonaker said Take Care Utah will continue with the support of local partnerships and other sources of grant funding. What’s left of the navigator funding, he said, is no longer worthwhile because it includes rules and restrictions on the types of insurance that counselors should promote.